I sold my laptop to make this, I had been itching to build a new PC for quite a while and I was finally able to! This is not my first build but it was the most fun. An hour and a half and a few choice words later, voila! 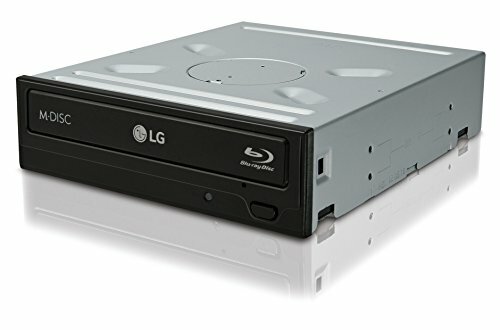 This machine is used to convert my movie collection to digital and store it on my NAS for the family's viewing pleasure on any device we have including tablets, also used for occasional Portal and Halflife 2 gaming... There is FAR more power under this hood than my Macbook Pro had and it cost far less too! The only thing missing is of course a GPU and that's because I'm waiting to see what Nvidia comes out with in their new consumer cards later this year, if nothing else, their current cards will be cheaper after the new ones come out. The SSD performance is great although the boot time isn't that great. I have a sneaking suspicion that this has to do with the motherboard though. I am still tweaking. The integrated graphics on this CPU are good enough to tide me over until I can get a decent card in there and converting video using Quicksync uses the integrated GPU anyway. 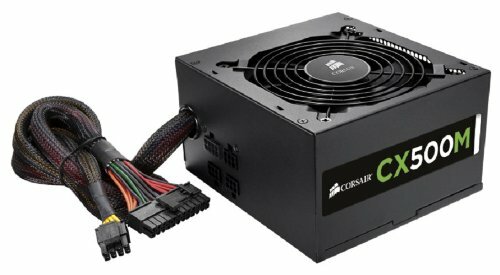 The only hiccup I ran into, which was also mentioned by another builder with the same motherboard, case and CPU cooler was that the case's USB3 plug was a B@$%^ to get in there! the cable is bent over around the cooler but is functioning just fine, minor annoyance. I love this case! Lots of room internally, quality construction and a relatively small foot print while still being able to put any GPU you could want in there. I am very happy with this computer and will love it even more when I get a GPU. This is a very powerful machine for far less money than a lot of the machines I see here and I say this knowing that I'm older and not affected by shiny lights and the like, haha! I understand the attraction to making crazy builds with aesthetics in mind but I have two kids and precious little time and inclination to go too nuts, just want one that works really well. Excellent CPU! Wow, this thing has no issues with anything, on performance power plan in Windows, 3.8 to 3.9 GHz strong. Integrated graphics are pretty good as well, I can play Portal 2 on high settings at 1080p with 55-60 fps! Huge but good and cheap! Keeps the processor at 29C at idle. Has a lot of good features like the 32GB/S M.2 slot for the NVME SSD I put in there, helps to not have to run those two cables! Wifi and BT work great, although I now have this hard lined into my router. The USB3 header is in a horrible spot though, way too close to the CPU! Good RAM, had no issues with it, runs great! Uuuuuuhhh, wow. This is a very fast ssd and there is no need to run cables! Yay! Really like this case, has plenty of room inside. there are decent options for cable management and it even comes with tiny black zip ties which was nice. Very good cooling right out of the box with options for much more. Quality construction. Semi modular is nice, it's nothing too fancy, it works and was a good price! Works like it should and is twice as fast as the external drive I had previously so that's definitely a bonus! Good feel on these and decent features but the range is not that great. I have this computer output to my living room 4K and I sit on the couch while the PC is up by the entertainment center, clear line of sight and there are stutters. Starting to get annoying, especially when trying to play a game. Great work with the build! Unfortunately that usb3 cable is going to be even more of an nightmare once you get a GPU in there! 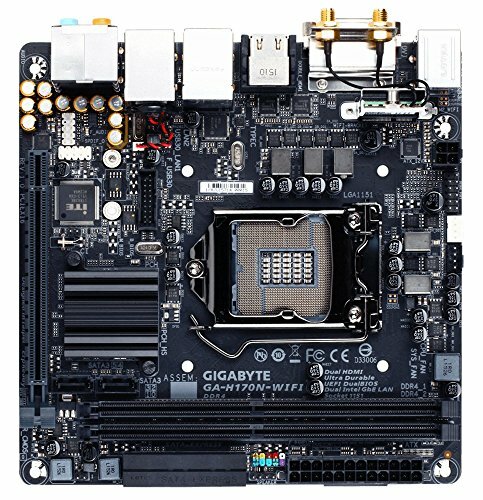 Why oh why did gigabyte put the usb3 header there?? nice build! thinking of getting the 951 128gb nvme, how long does your pc take to boot to desktop?